With its newly founded, independent Life Science Factory, Sartorius, a leading international partner of the biopharmaceutical industry and research sector, intends to promote startups and attract entrepreneurs from the life science sector. Life Science Factory offers space and support to prospective scientific entrepreneurs and young companies willing to take their first steps beyond the comfort zone of academic institutions. Based on an exemplary business model already established in the USA as a launch pad for life science startups, the Life Science Factory strategy provides for the interaction of lab areas, co-working rooms and network offerings, such as mentoring and company financing. The firm’s professional operating concept ensures efficient facility management and administrative support, high-quality laboratory equipment and qualified lab staff. “In this combination, such an approach is new in Germany and other European countries,” comments Sartorius Executive Board Chairman and CEO Joachim Kreuzburg. “Life science startups primarily lack suitable lab facilities and a powerful network, apart from access to startup and growth capital. Flexible and open-design spaces for labs, offices and events are a good breeding ground for trying out new things and sharing contacts and experiences with like-minded peers and veteran founders.“ He says that Life Science Factory is intended to propel Göttingen beyond its reputation focusing on scientific expertise, establishing the city as a genuine hotspot for life science startups. 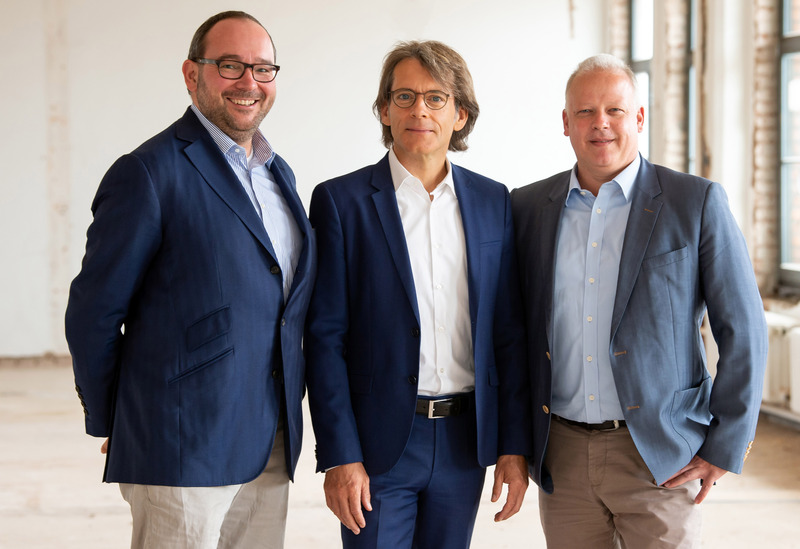 The managing directors of Life Science Factory, a non-profit, are entrepreneur and founder Marco Janezic and Sven Wagner, who heads the Business Development unit at Sartorius and had previously worked at two life science startups. Life Science Factory will work closely with local partners, such as Göttingen’s universities, Max-Planck institutes and the Southern Lower Saxony Innovation Campus, SNIC, and, beyond these, with its wider network. For example, the non-profit will be the venue for startup activities of the Fraunhofer-Gesellschaft, Europe’s largest application-oriented research organisation, such as Fraunhofer Life Science Days, or for the initiative of the Young Entrepreneurs in Science of the Falling Walls Foundation. “Göttingen has the potential and the opportunity to achieve a much stronger position in this extremely dynamic and socially important field than has been the case so far,” says Kreuzburg. The non-profit will be ready to start off in early 2019: Office space in the inner city of Göttingen will be available for co-working, experiments and events, and can be rented by entrepreneurs for working and prototype building. The offices will also offer the latest equipment, such as 3D printers and laser cutters. In addition, lectures to be held by patent attorneys or successful startup founders, for instance, are scheduled as are further events addressing startup issues. Any earnings generated by Life Science Factory will be reinvested in the promotion of knowledge transfer and of young scientists and researchers. In 2021, Life Science Factory plans to move to the new Sartorius Quarter. Providing a total area of more than 3,000 square metres, the new facility for Life Science Factory will be one of the first buildings to open in the new city quarter at the previous Sartorius site. “Our former company headquarters was always a place of taking entrepreneurial initiative and of turning science into practical industrial solutions, especially in life sciences. For this reason, the Sartorius Quarter is also designed to continue as a place for ideas and innovations in the future as well. Through this Life Science Factory, our company is upholding its long-term commitment to this location and thus to also close a gap in Göttingen,” says Kreuzburg. At the end of 2017, Sartorius relocated its headquarters after operating for some 120 years at its traditional site in the inner city of Göttingen to Sartorius Campus in the Göttingen-Grone industrial zone.